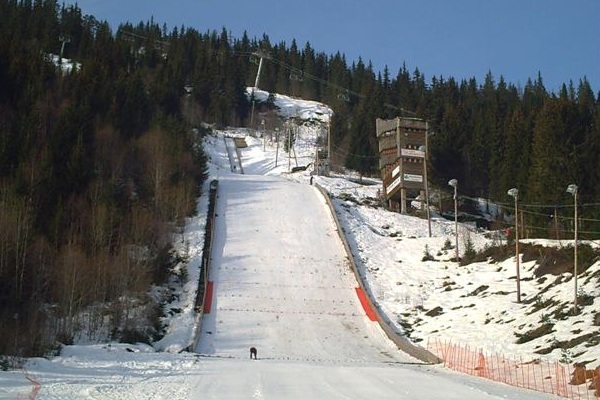 The first ski jump construction at Bavallen ski center in Voss was finished by the ski jumping season 1953 and in 1955 the very first Norwegian Championships were organized there. 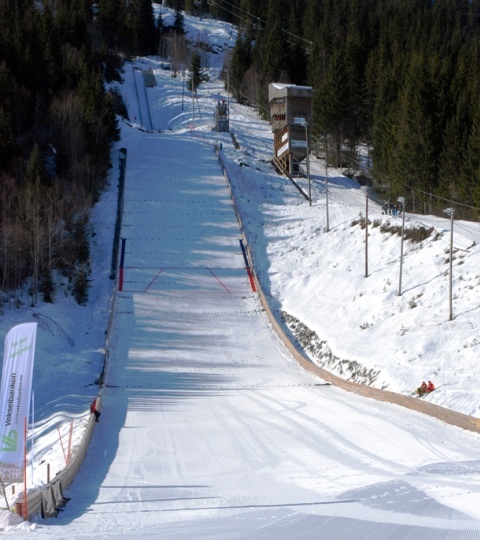 In front of 12,000 spectators, among them King Olav, Sverre Stallvik from Trondheim was the winner. 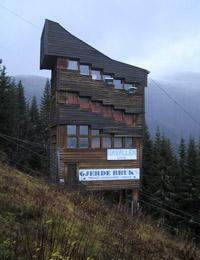 In the following years the Norwegian and international ski jumping elite gathered at Voss regularily. 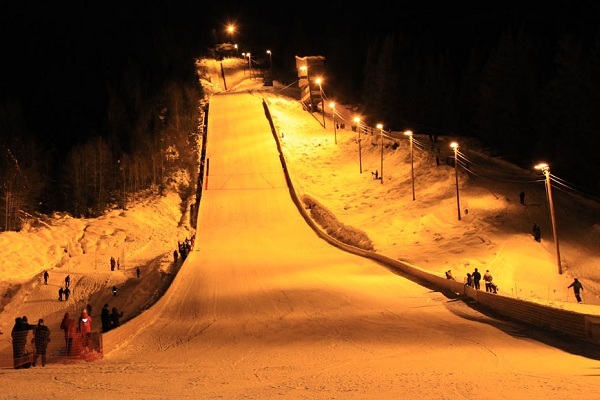 On April 8, 1957, Kjell Kopstad set up new hill record of 103.5 m on Bavallsbakken, which was equalized by World Champion Toralf Engan in 1962. 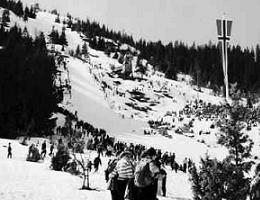 The next NM in 1964 was attended by a crowd of 10,000 spectators and won by Torgeir Brandtzæg. 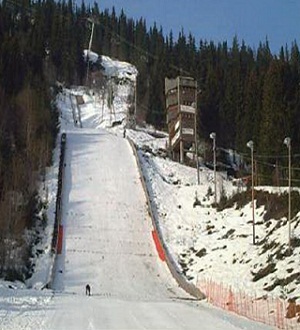 Only three years later in 1967 Bjørn Wirkola became Norwegian Champion with a new hill record of 104.5 m.
Then the ski jump was converted and downsized in 1977. 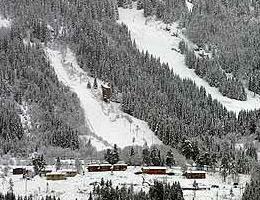 During the first bigger event, the junior championships in 1979, Knut Leo Abrahamsen from Alta set up a first record of 87.5 m. After that Bavallsbakken was converted several times up to K90 (HS 100) and in 1996 even a COC competition was staged there, won by Toni Nieminen. 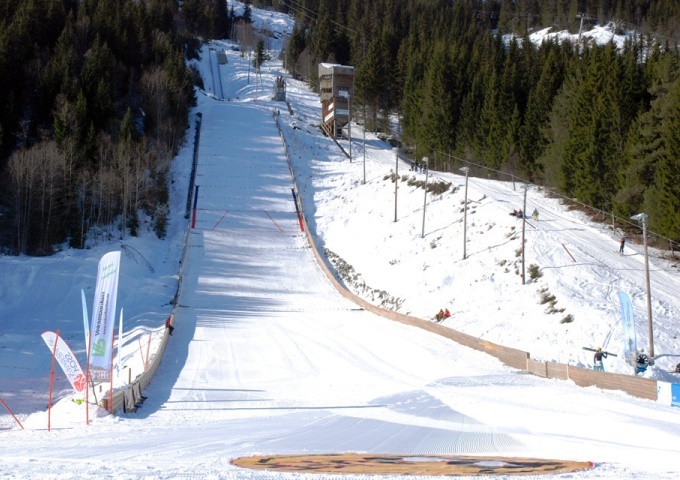 For many years annual events of Norges Cup have been hosted at Voss. 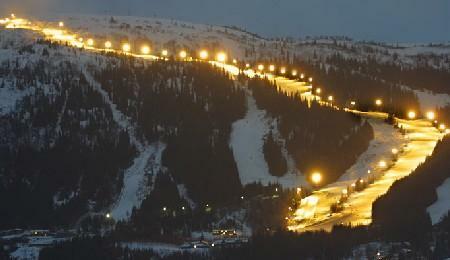 In advance of the NM 2012 Bavallsbakken was enlarged onto K95 / HS 103 already in 2010 and opened by a Norges Cup in 2011. 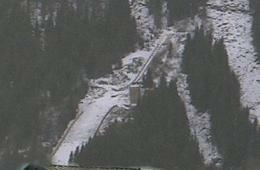 Further important ski jumps in and around Voss are Nyestølsbakken at Myrkdalen, Tunåsen at Bulken and Framnesbakken at Oppheim.